Friday’s final round of the 58th South African Women’s Inter-Provincial Championship at Devonvale Golf and Wine Estate is shaping up for a mouth-watering finale in both sections. Defending champions Western Province are in for a ding-dong battle against Ekurhuleni for the championship title, while Mpumalanga and Border will go head-to-head in the battle for promotion. Western Province led the foursomes 2-1 and thundered to an 8-1 victory over Gauteng in Thursday’s second round to retain the top spot on the A Section log. Zayb Fredericks, playing at six, once again drew first blood and beat Kim Turgut 6 & 5. 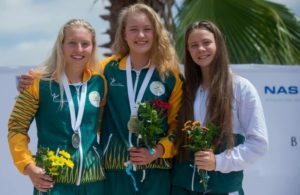 Kelly Erasmus downed Marine Legentil 5 & 4, Vicki Traut took down Gauteng No1 Cara Ford 4 & 3, and Province captain Kaylah Williams birdied 17th to knock out seasoned IPT campaigner Eleonora Galletti 1-up. Birthday girls Jordan Rothman and Katia Schaff also finished on a winning note. Schaff downed Kera Healy 1-up and Rothman routed Samantha Whateley 4 & 3. Kiera Floyd and Nadia van der Westhuizen opened for Ekurhuleni with a 5 & 4 win in the foursomes. 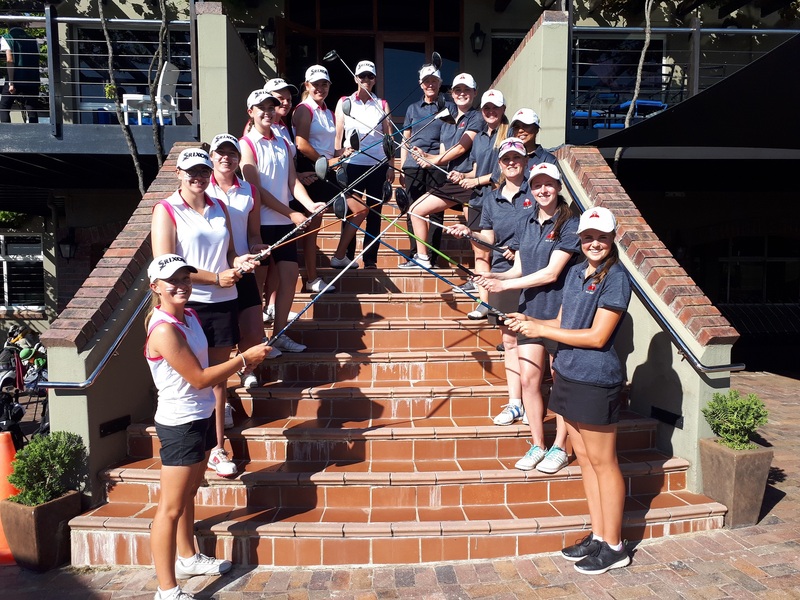 Casandra Hall and captain Caitlyn Macnab won 3 & 1, while Teagan Lubbe and Kyra van Kan ensured a 2.5-1.5 lead for their team when they halved the final match. Lubbe, Van Kan, Van der Westhuizen, Floyd and Macnab racked up five more points in the singles to beat Southern Cape 7.5-1.5. Both teams have four points, but Western Province have a slight edge with 15 games points. The 2017 champions lead Ekurhuleni by a lone point though, so it will be all to play for on Friday. In Division Two, KwaZulu-Natal beat Boland 6-3 and will face Gauteng North in the final round. It wasn’t as convincing as their first-round performance, but Mpumalanga edged out Free State 3.5-2.5 to remain in front of the promotion race. After the foursomes ended in a draw, Thamara Sandys put Free State ahead when she handed Patrizia Lombard a 7 & 6 drubbing. Nicola Schoeman hit back for Mpumalanga, knocking out Mariana Payne 6 & 5 to level the score. 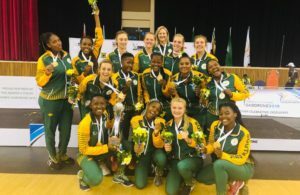 Chante Boonstra defeated Pheletso Mota 1-up to put Mpumalanga ahead and Petrone Rudolph drove the nail into Free State’s coffin when she halved against Gabbi Venter. Border’s promotion bid took a knock when the side went down 2.5-3.5 to Western Province B. The team still have an outside chance to land the coveted promotion, though, but will have to beat Mpumalanga decisively. The log leaders have four points and nine game points, while Border trail by two points and have just 7.5 game points. In the other Division One match, Western Province B face Free State. Eastern Province also held on to the top spot in the Division 2 log after a 3-all draw against Northern Cape. North West beat Limpopo 3.5-2.5 to move to third in the standings.